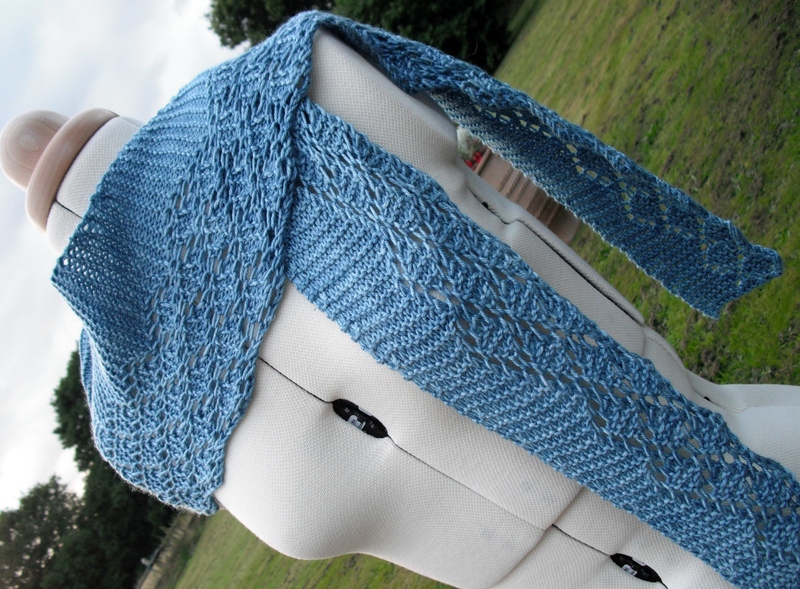 A while ago I talked about the KAL/CAL on my ravelry forum to celebrate the first anniversary of that forum. 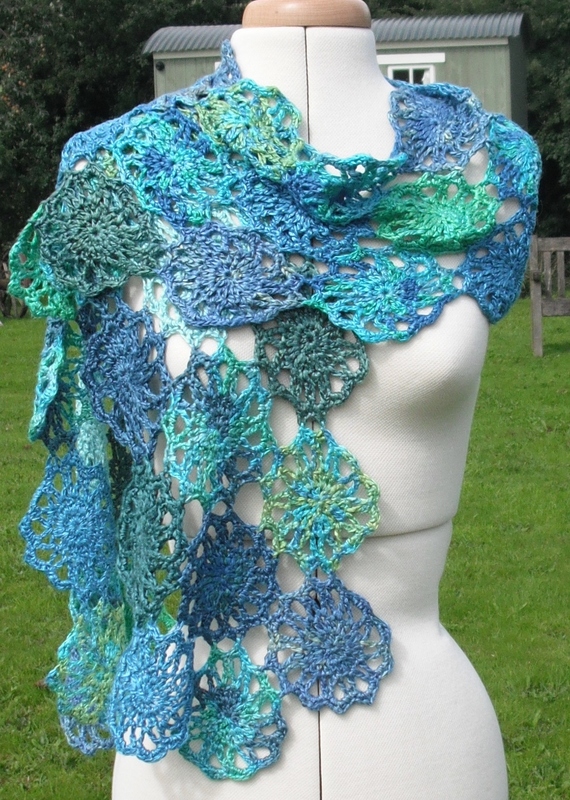 I have been blown away by all the lovely sharves and scarves being made by the members, and they are great at sharing their photos as well as words. I can’t explain how lovely it is to see the different variations with yarn, colour etc – it brings the whole design to life for me. Amost 90 people are working on these now, some have even finished! But today I was blown away again! Kerry, who is making the sharf using some of her own beautifully dyed blue faced leicester yarn (yes, she dyed it herself! ), has done a video blog of her progress on the sharf. It is a great blog and I confess had me blushing a little!! It was a pleasure to blog about your pattern. It really is fab 🙂 Thank you for your kind comments!